Performance and comfort! Models come in 20’, 22’ and 24’ lengths. 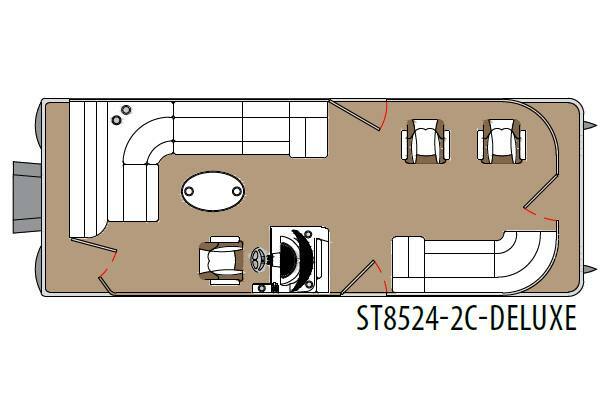 They include all the same features as our Deluxe Cruise models and then some. Hydraulic steering, 27 gallon built in fuel tank, performance lifting strakes and an aluminum skinned bottom are included. 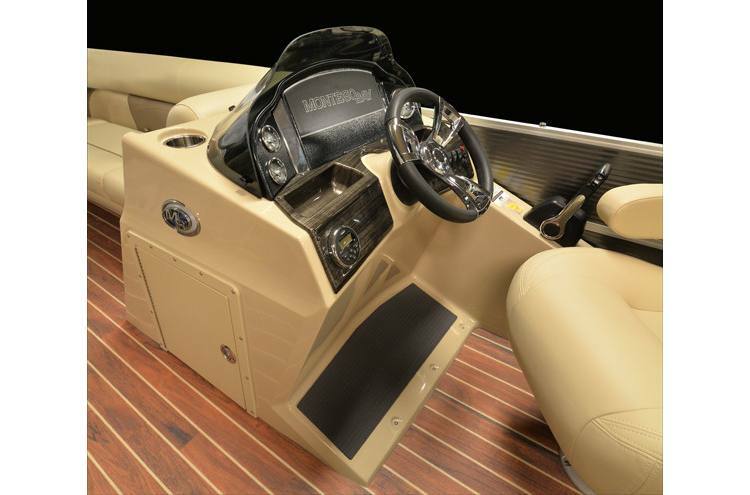 The 20’ Sport Tri-Toon will take a maximum 115 horsepower, the 22’ will max out at a 150 horsepower engine, and the 24’ will take a maximum of 200 horsepower. 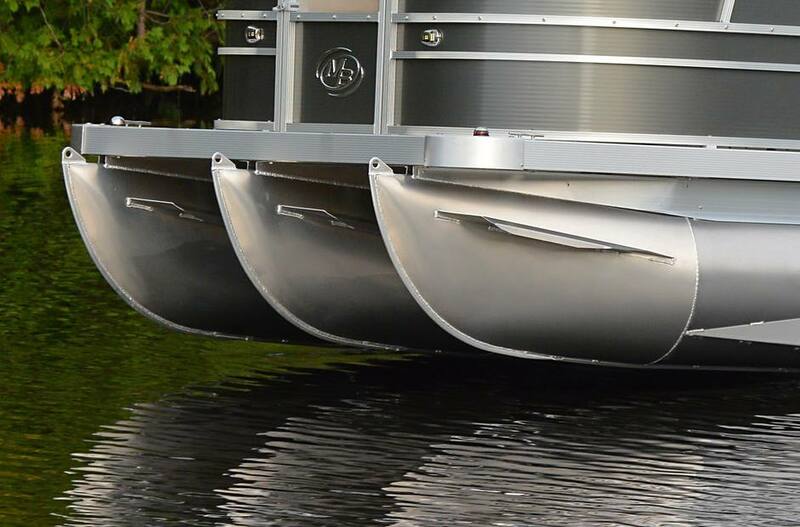 The 3rd center 25” pontoon increases stability and weight capacities. Steering responsiveness and a tighter turning radius are very noticeable. 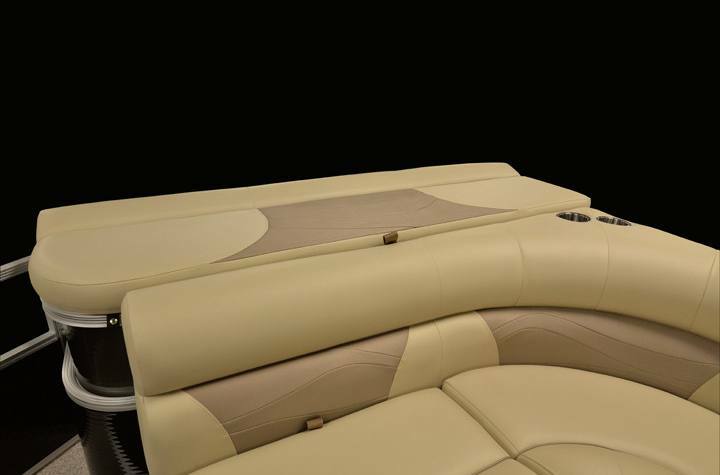 Enjoy the pontoon experience with a Sport Tri-Toon. Overall Length: 25 ft. 4 in. Deck Length: 23 ft. 6 in. Maximum Capacity (LBS): 2740 lb. 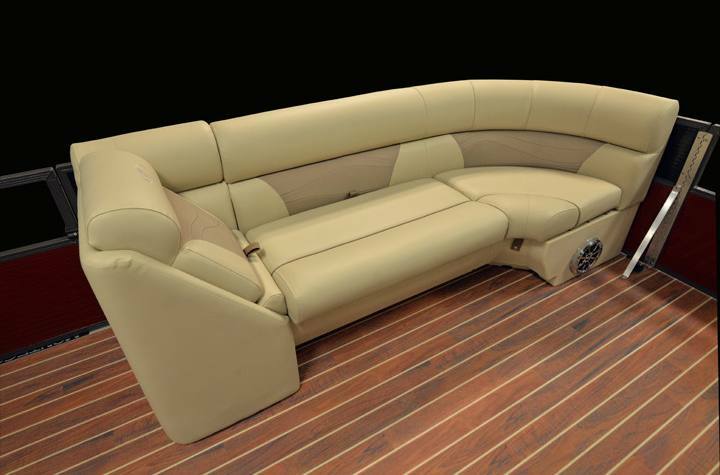 Bimini Top Size: 10 ft.